Berkley heads into 2015 as the new series naming sponsors of Australia’s premier tournament series, the Berkley BREAM Series. A brand with few peers on the tournament trail Berkley grabs the reins in 2015 to deliver anglers a tournament series that challenges, rewards and creates reputations and fosters new tournament anglers like no other. “Last season and seasons past we saw major tournament success with anglers using Berkley products, Gulp and PowerBait in particular. Given the faith and support so many tournament anglers have put in to our product, Berkley is delighted to be playing a further part in the growth and development of the sport. The Berkley campaign motto for 2015, “Berkley makes good anglers great, and great anglers the best!” exemplifies our goal for the year, and we can’t wait for it to all start, ”explains Pure Fishing’s Chris Gates. The Berkley bream roadshow kicks off in late February (28th/1st March) on the Tweed River, a venue that will be in a full summer bite pattern, an expected pattern that will be perfect practice for the Berkley BREAM Grand Final at the end of the year. “We’ll be back in northern NSW for the GF in November so the Tweed round will be a great testing ground. Anglers will find fish from the mouth all the way to the upper limits, and reaction lures such as crankbaits and topwaters in the shallows should dominate. Pin pointing where the big ones are will prove the real challenge though”, explains ABT’s Simon Goldsmith. 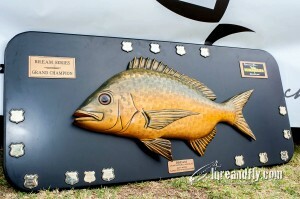 The venue of the Berkley BREAM Grand Final, the Clarence River plays host to round two in April, a challenge in both the size of the venue and the timing of the event. “Winter time is usually Clarence River time on the ABT BREAM trail, but this year were mixing it up and heading there in Autumn. Change challenges and I think heading there in April will definitely do that”, added Simon. 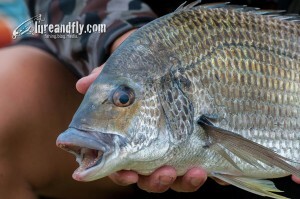 The south beckons in June with Victoria’s Gippsland Lakes and Mallacoota the scene of a two event bream beat down in early June. Pack your warm cloths and your heavy gear because while the weather may be cold the action is expected to be red hot. 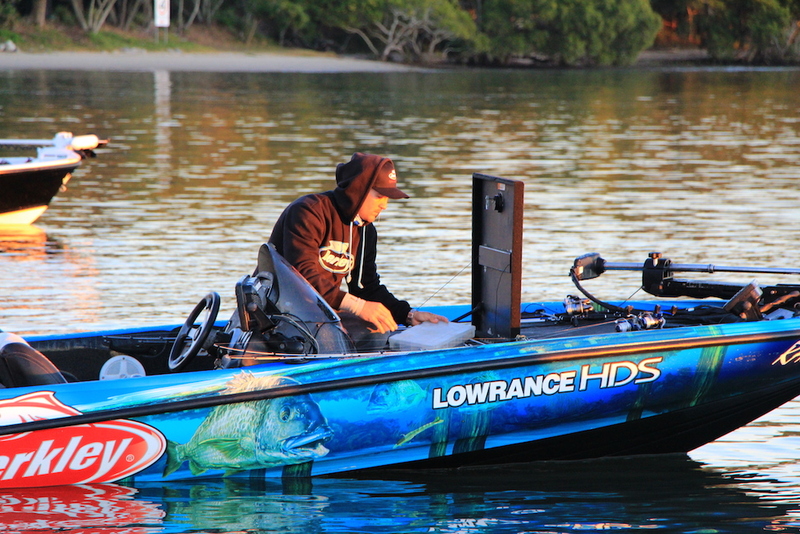 Attention then turns to Sydney’s legendary Hawkesbury River in August for the 5th and final qualifying round of the series. An expansive tournament arena, it’ll be anglers’ last chance to book their seat into the Berkley BREAM Grand Final. For those that book themselves a seat in the GF, it’s the Clarence River that’ll challenge for the biggest and final event of the year, the Berkley BREAM Grand Final, 6-8th November. A tournament arena of epic proportions the Clarence is sure challenge. “The winning fish could come from anywhere on the Clarence in November. The deepwater bite spawn bite won’t be there like it is when we fish the Clarence in winter, so it’s going to be a real open final”, explains ABT’s Simon Goldsmith. 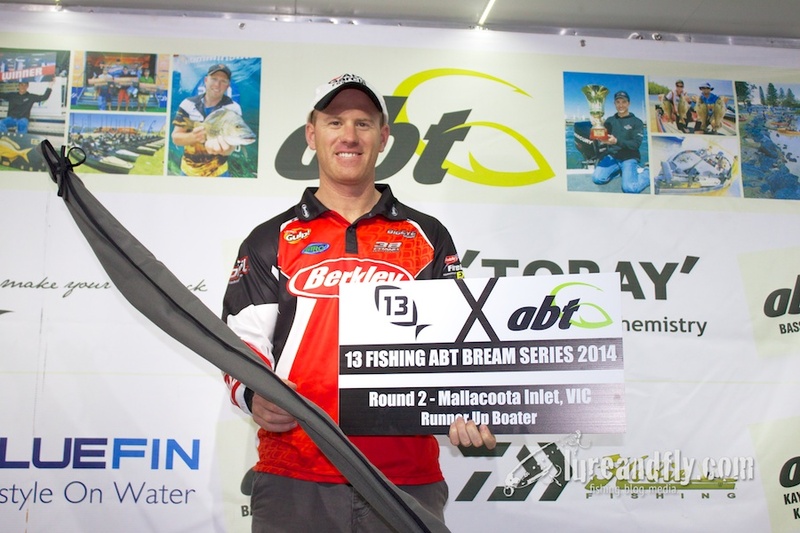 With Berkley headlining the series anglers will definitely be seeing red on the ABT bream tournament trail. “We want to see ABT anglers becoming the best and Berkley will be there at each round to see them do it and help them do it. We’ll have proven tournament winning products to give away and a host of new Gulp and Powerbait products to release throughout the year. 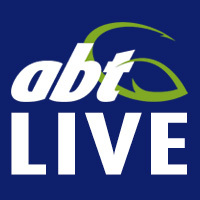 ABT anglers will be among the first to hit the water with them and I’m sure we’ll see a few tournament winning patterns emerge. We also have some fantastic new releases in our partner brand Abu Garcia due later in the season. There’s some exciting rod and reel developments that partner perfectly with Berkley products and again ABT anglers will be among the first to see these in flesh. Many of our Berkley Brand Advocates and Product Development Team will be fishing the events and they’ll be on hand with product and technique advice at each event. Berkley’s support and presence will be very hands on and interactive. We’ll be there for the anglers and want to help good anglers become great, and the great become fantastic! “explains Chris Gates. Entry forms, rules, and full series information for the Berkley BREAM Series will be available from Friday 16th January.